Izzy is a big snacker. She didn’t get the nickname Busy Little Izzy for nothing. She’s constantly moving (burning calories) and therefore constantly hungry! I can’t leave the house without having snacks on hand and that’s a fact. Maybe it should even be mommy rule #1. Don’t leave the house without snacks. Being a working at home mommy, I’m super busy and Izzy is with me ALL THE TIME. Whether we are driving or running errands She’s mostly likely going to want a snack and I want her eating products that are protein packed and more often than not I try to give her organic food. 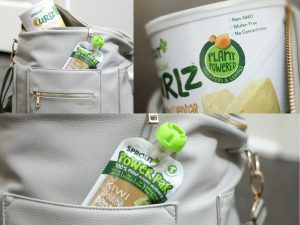 Sprout® came out with brand new products that are just what we need. 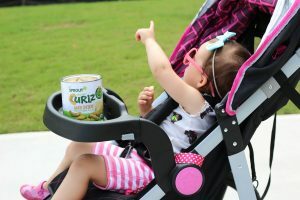 Protein packed and perfect for busy parents on the go. I had to share because this is a company that does their very best to transparent with us as consumers. 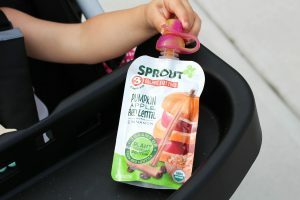 If you don’t already know about Sprout®, they provide premium organic foods & snacks for babies and toddlers. The use only USDA certified organic, non-GMO ingredients which include a mix of whole fruits, vegetables and grains. This means if the container states Carrot, Apple, Banana on the front, then those will be the same primary ingredients you will find listed on the back. 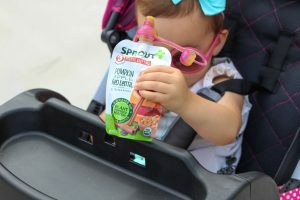 Sprout’s Stage 3 Baby Food Purees and Power Pak Toddler Purees deliver protein through plants. Yes, plant protein! They act as a healthy alternative to the typical meat and dairy-based protein families may eat. 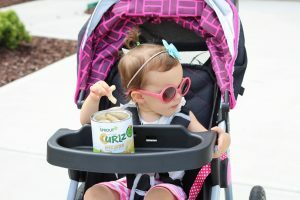 Sprout’s Organic Curlz baked toddler snacks are made from chickpeas and lentils. Izzy is pretty obsessed with them and I feel good about giving them to her. Educate yourself further on Sprout’s products here and also snag some discounts and deals so you can try them! The Curlz are our favorites! This seems like a really great healthy option! Oooh! We haven’t tried this brand yet, but now we’re definitely going to! Yummmm the whole household enjoyed those white cheddar curlz! Evelyn loves this brand! Henry is always trying to steal her snacks, lol! 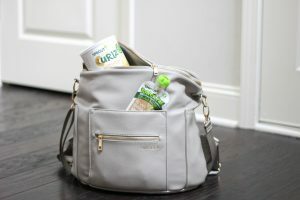 These products are great, I especially need to try that pouch! We really need to try those pouches, so awesome! I’m always looking for ways to get my kids to eat more protein, so we’ll have to try these!